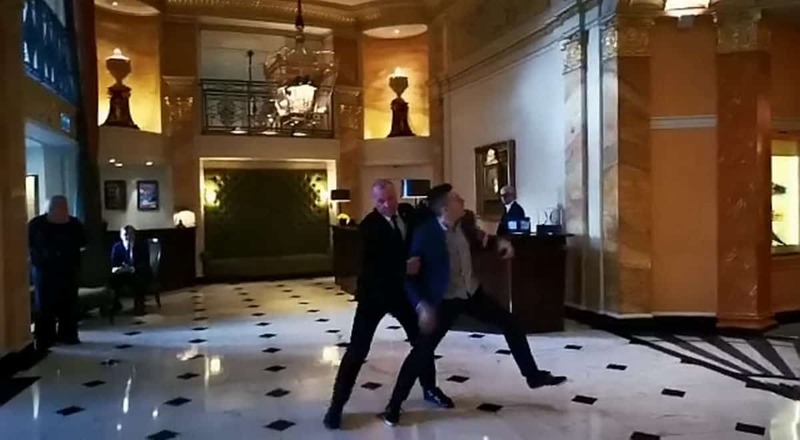 This is the moment protesters were thrown out of the luxury Brunei-owned Dorchester Hotel after they hit out at the nation’s decision to stone gay people to death. The island nation said earlier this month it will introduce death by stoning for homosexuality, a plan backed by prime minister Sultan Hassanal Bolkiah, 72. 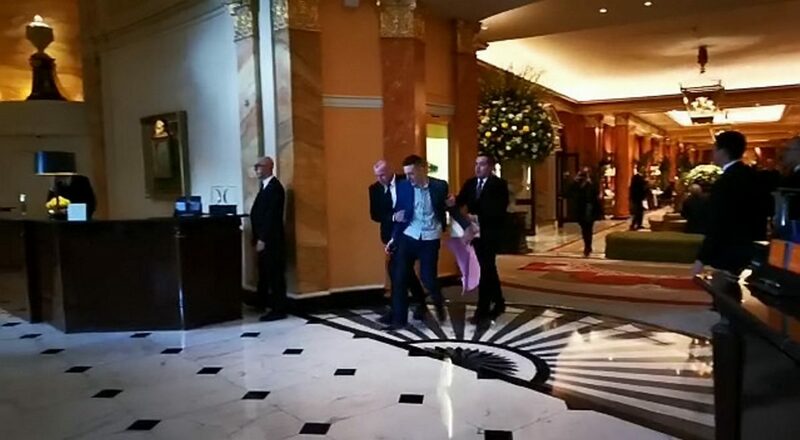 The Mayfair hotel is part of the Dorchester Collection, a chain of hotels owned by the Brunei Investment Agency, which is owned by the Sultan. And in response to the new law, three men dined in the five star venue’s restaurant – before unfurling banners and staging a protest, onlookers said. 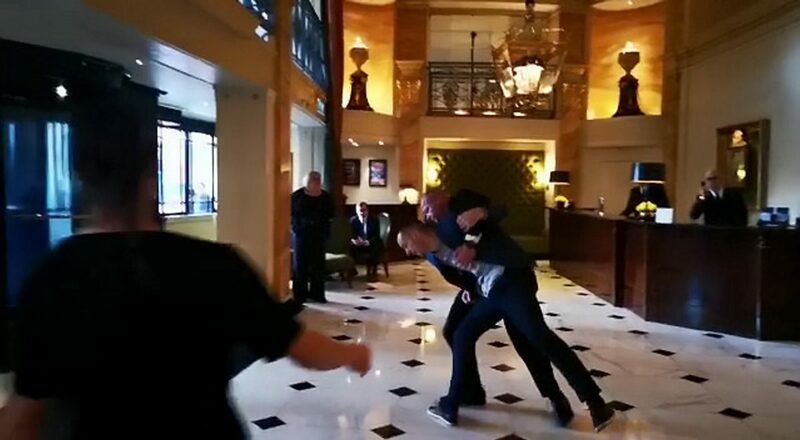 A video taken by a shocked guest shows one of the men being forcibly removed by a security guard, who held him by his arms, while another shouted. Two of them men walk out followed by other security workers, but one shouts about “death by stoning” as he leaves. 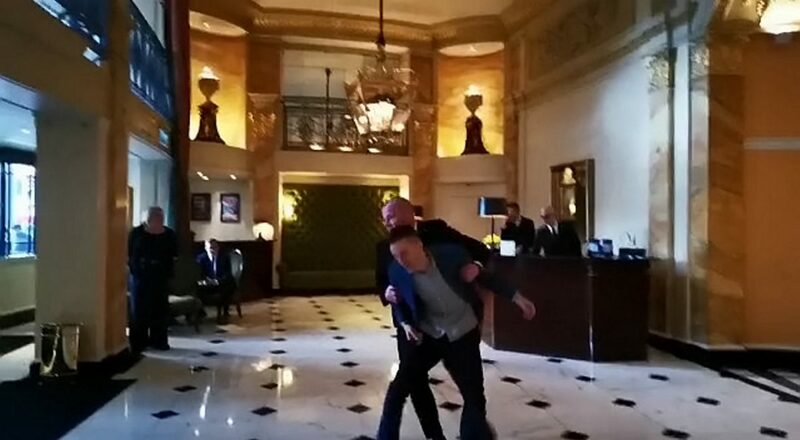 The 38-year-old guest, who filmed them being turfed out, said: “I was checking out the hotel. The guys came in and had a meal. I think they were pretending they were normal guests. “They finished their meals and unrolled some banners and parading around the bar shouting about ‘boycotting the Dorchester’ and ‘standing with our brothers and sisters’. “I don’t know if they paid for their meal. There were three of them – three men. “They moved all down the The Promenade, and kept going around and around until the security came and then they were thrown out. A spokeswoman for the Dorchester Collection said it was a “political and religious issue that we don’t believe should be played out in our hotels”. She said: “Inclusion, diversity and equality are the foundation of Dorchester Collection. “We do not tolerate any form of discrimination, we never have and we never will. “We understand people’s anger and frustration but this is a political and religious issue that we don’t believe should be played out in our hotels and amongst our 3,630 employees. “We’re deeply saddened by what’s happening right now and the impact it is having on our employees, guests, partners and suppliers in particular. “Our values are far removed from the politics of ownership. “We are aware that many other brands have ownership with similar backgrounds in this increasingly global world.